YOU ARE INVITED to experience a pet-friendly 17 acre wooded retreat with private fishing pond bordering the Hocking River. Your place to relax as you explore the Hocking Hills. 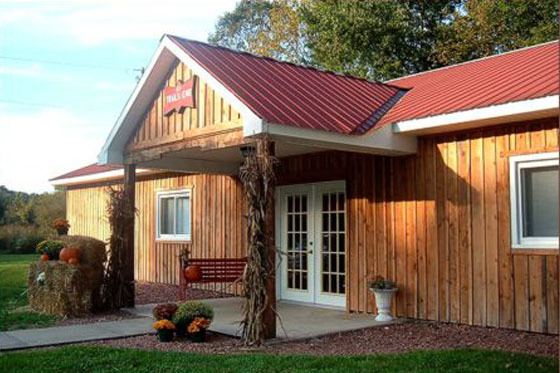 The Cabins at Trails End offers a family lodge and two Appalachian log cabins. The cabins are close to canoeing and kayaking, zip lines, area shopping, Lake Logan and other park attractions. 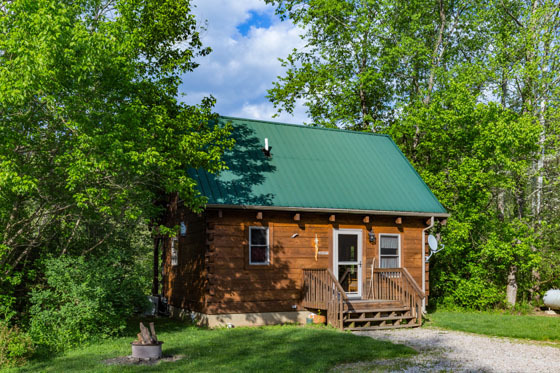 The Cabins at Trail's End are the ideal place to stay in Hocking County for hiking adventures, family gatherings, reunions, special events, romantic getaways, family vacations, and quiet retreats. All our cabins now have Wi-Fi. 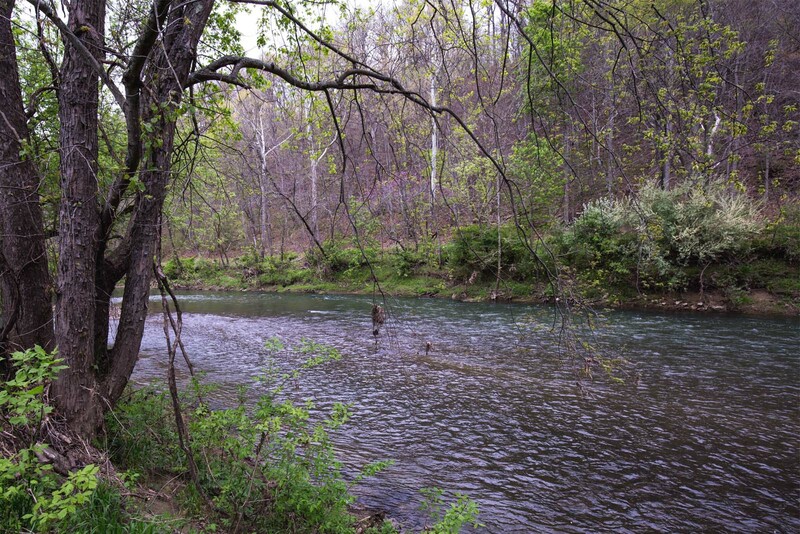 Large 3 bedroom cabin sleeping 14 located on Hocking River with 17 acres and private pond. 1.5 baths, 5-person hot tub, electric insert in large stone fireplace, pool table, foosball table. Close to canoeing, and rental boats on Lake Logan. 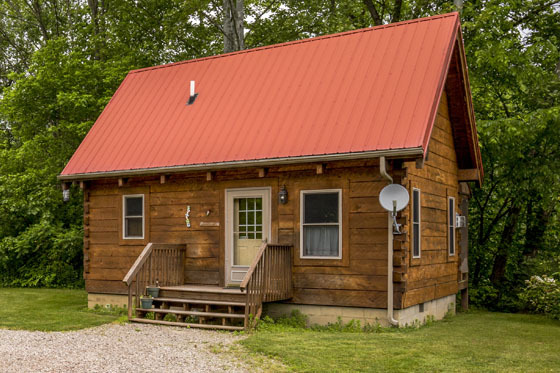 4-person open loft log cabin with private view, hot tub, fully equipped kitchen, on Hocking River with fishing pond, gas grill, glass-view gas fireplace, perfect for small families, romantic getaway. Near Lake Logan boat rental, antiquing routes.